Stunning View of the Lake. Huge Heated Shop. 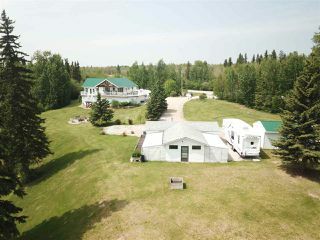 17 Acres of Playland. Incredible Yard. 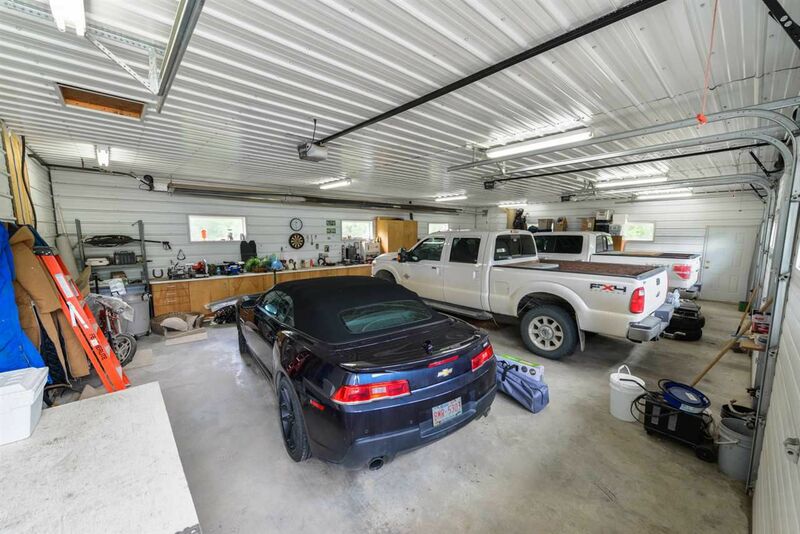 Bushed Trails. 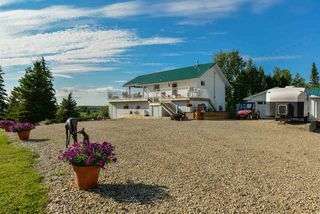 A Country Paradise. 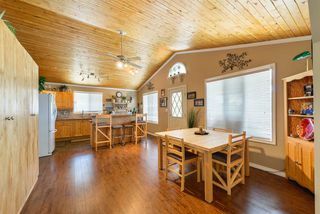 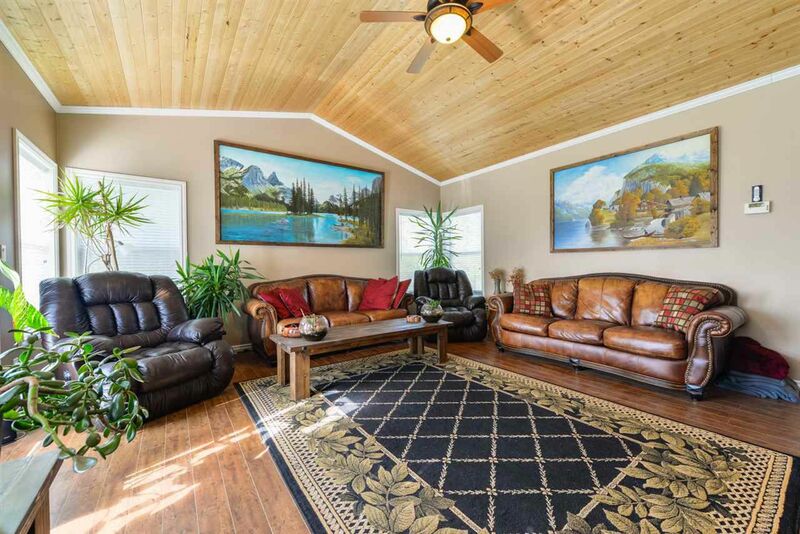 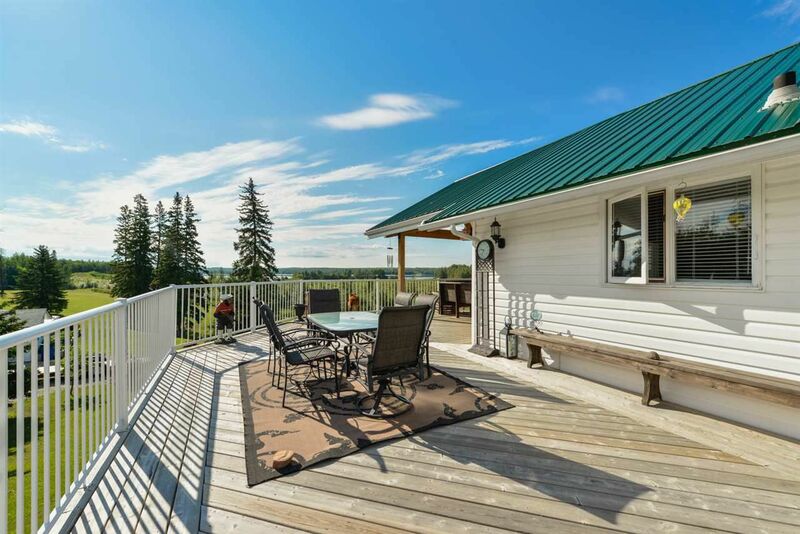 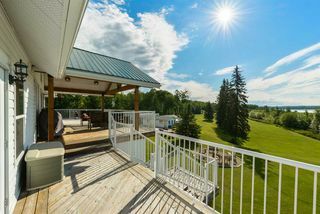 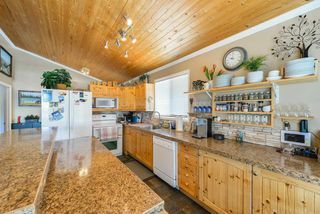 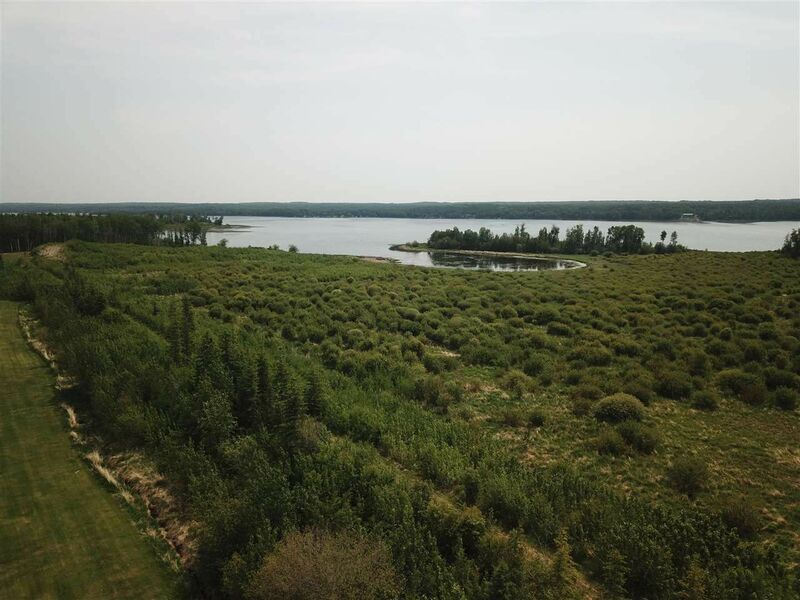 If ever you wanted to live by the Lake, with a view and feel the tranquil peace of Country Living then this Raised Bungalow is it. 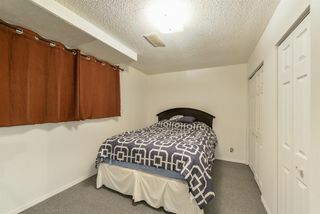 The features never end. 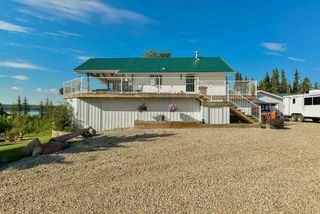 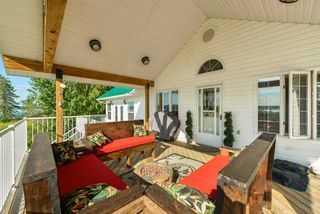 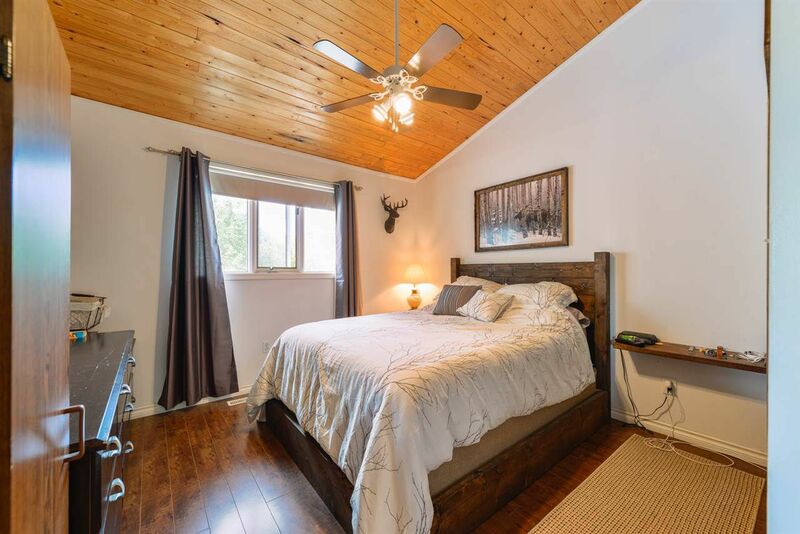 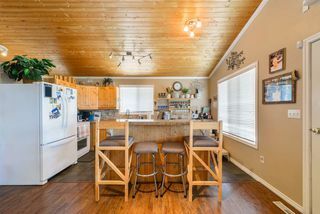 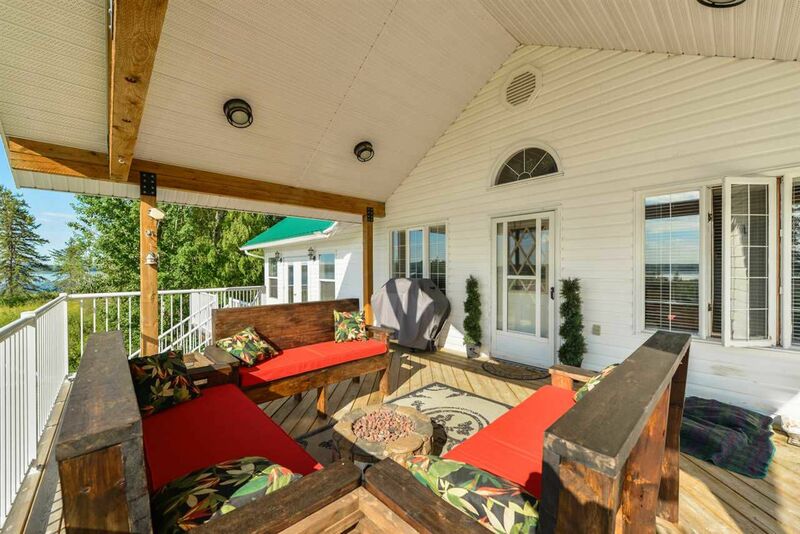 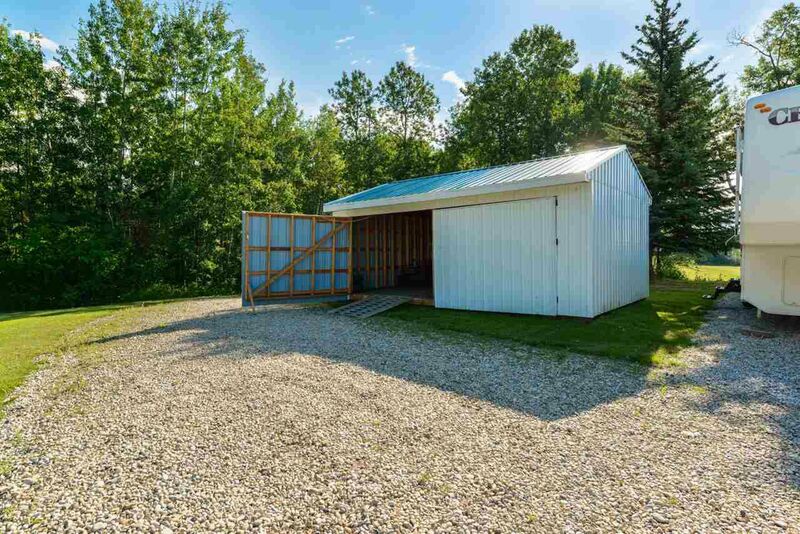 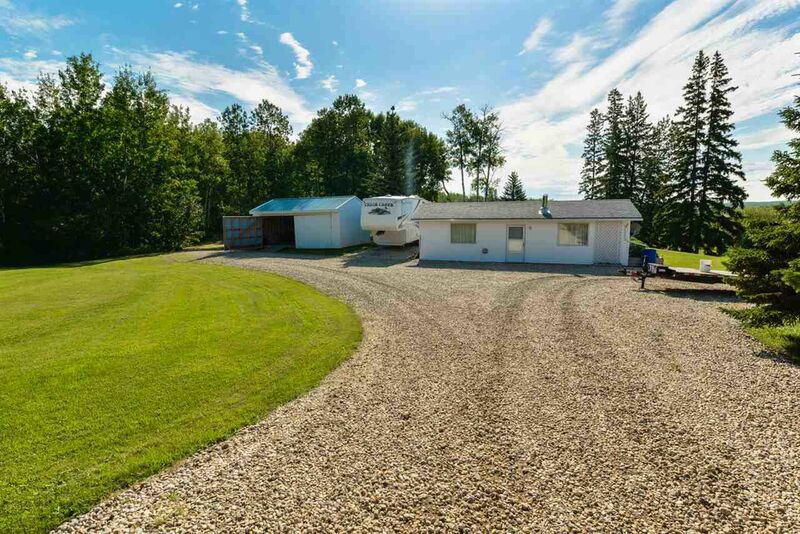 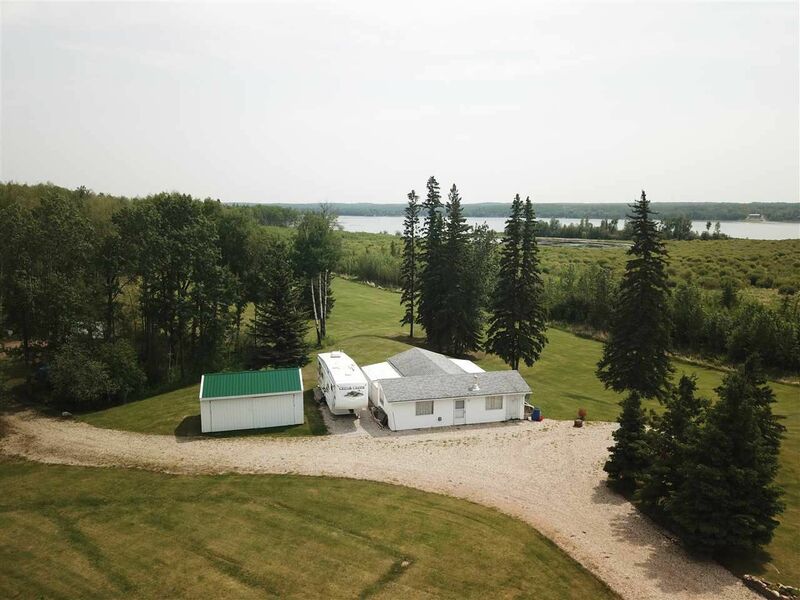 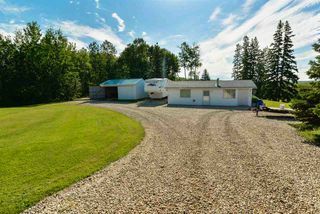 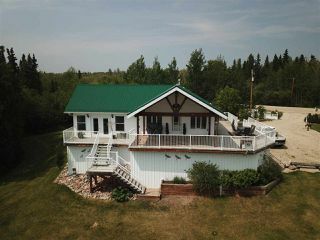 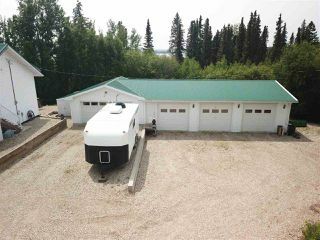 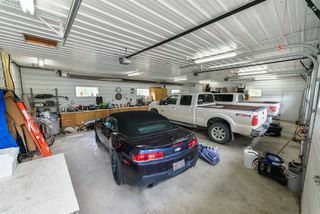 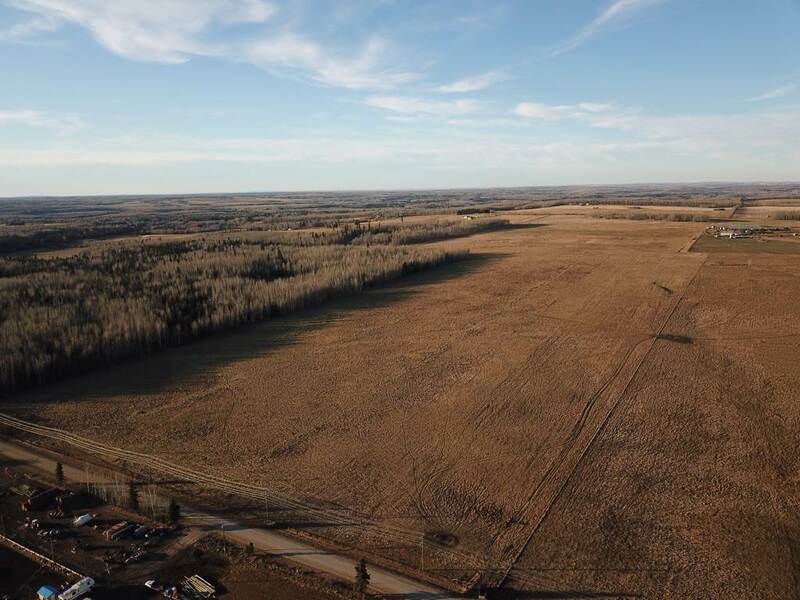 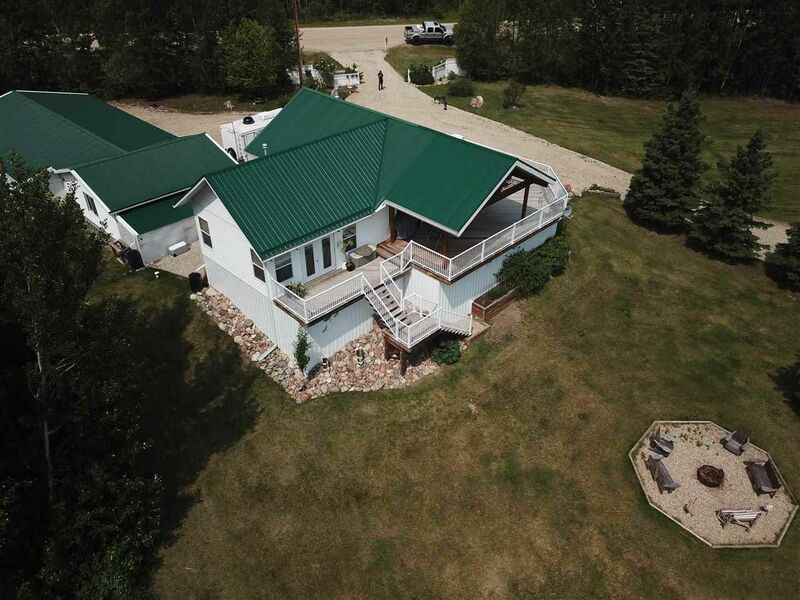 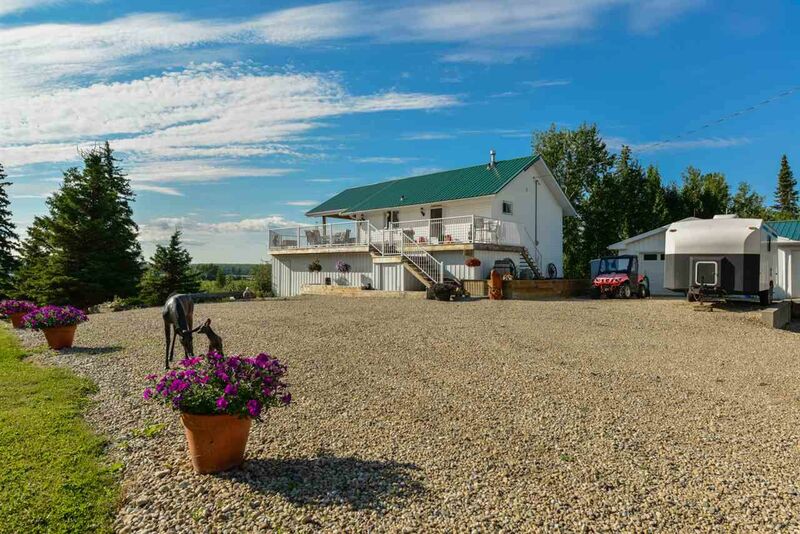 Two car heated garage, 30’x44’ Heated shop, Storage Space throughout the property (5 sheds), Guest house with private bathroom, Open grass area for playing, fire pit, bushed trails for skidooing /quading over the 17 acres. 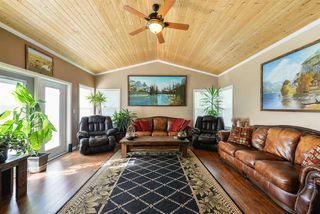 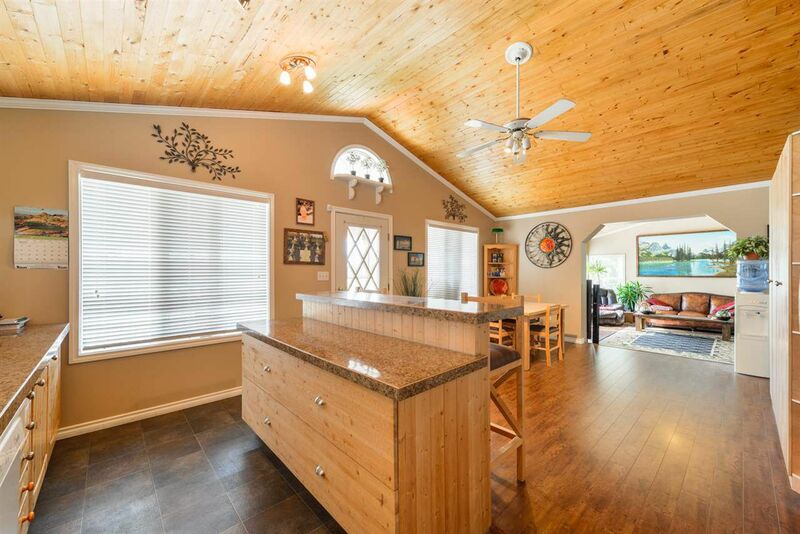 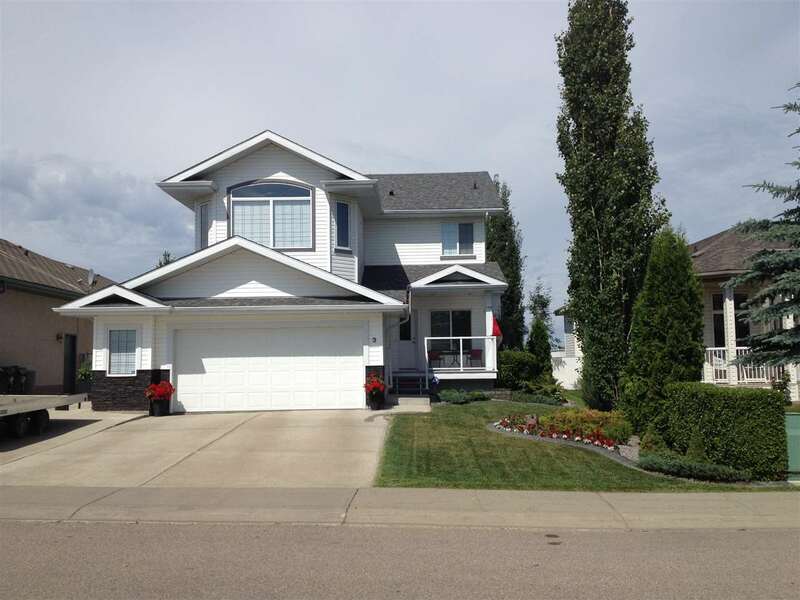 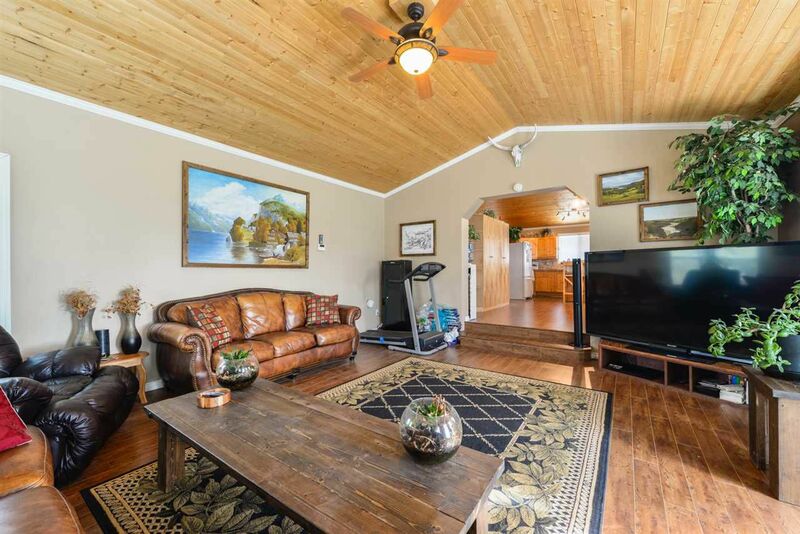 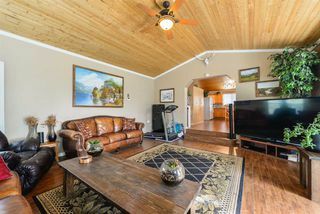 Inside the home you have a sunken living room addition with in floor heating, open concept vaulted ceiling kitchen and dining area ALL of this with a view of the lake. 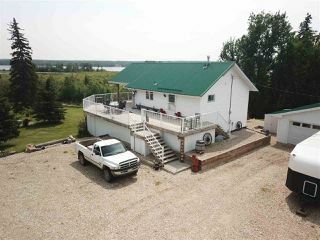 Newer upgrades include HWT / Water Softener / Deck , all in 2013. Well Pump 2014, Septic Field 2010. 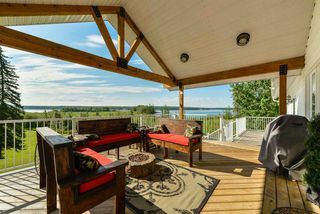 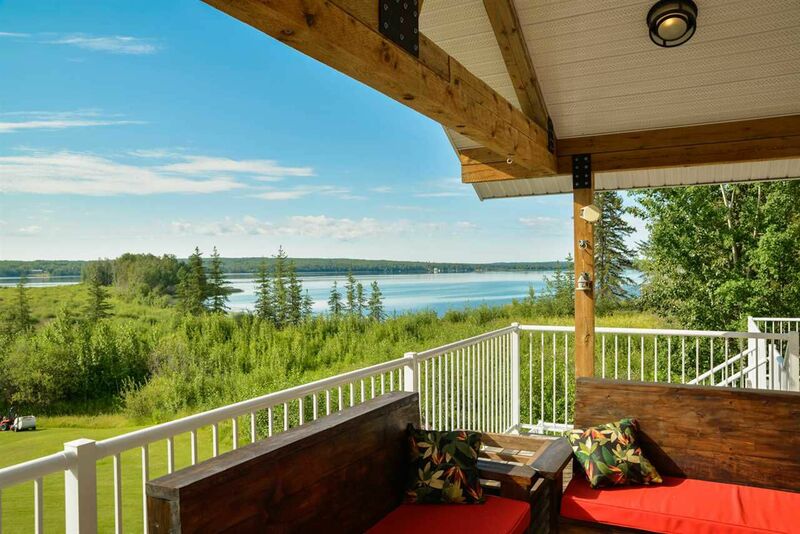 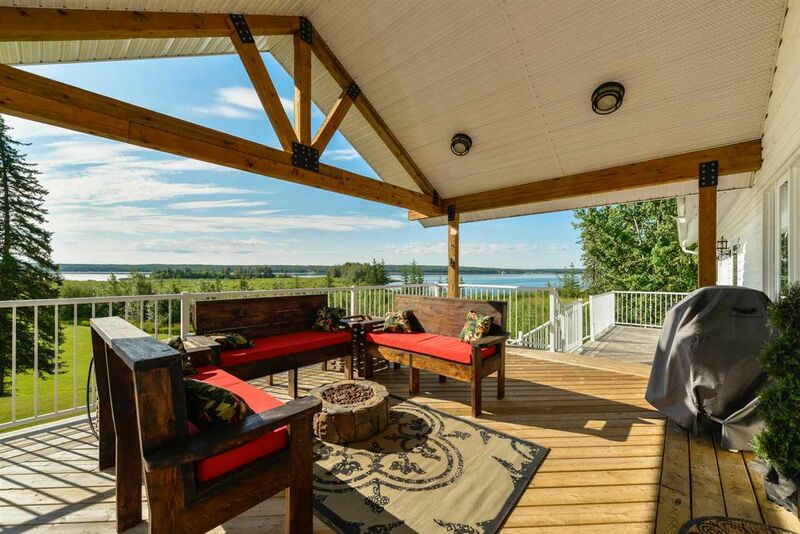 The Deck wraps around 2 sides of the house and is covered on the lakeside view for all types of weather, it is breath taking. 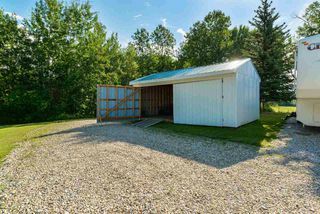 Infrared Heated Shop with roughed in / In floor heat, three separate overhead doors. 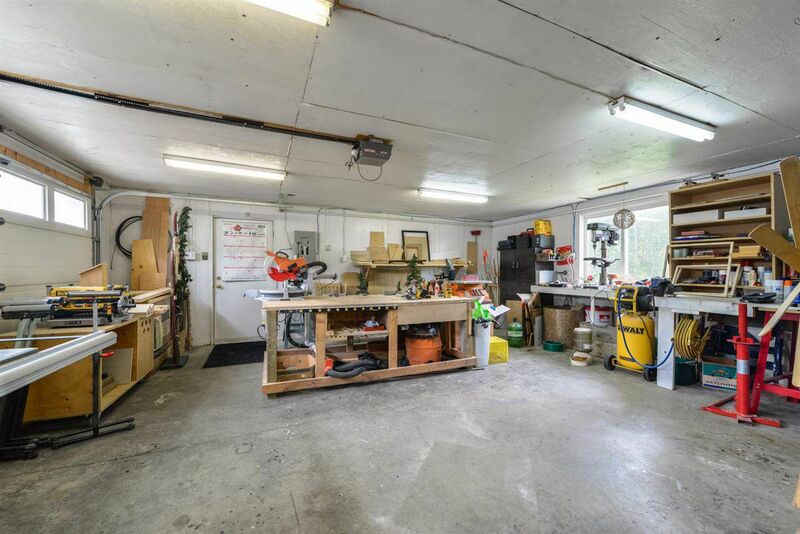 Double garage presently a woodshop. 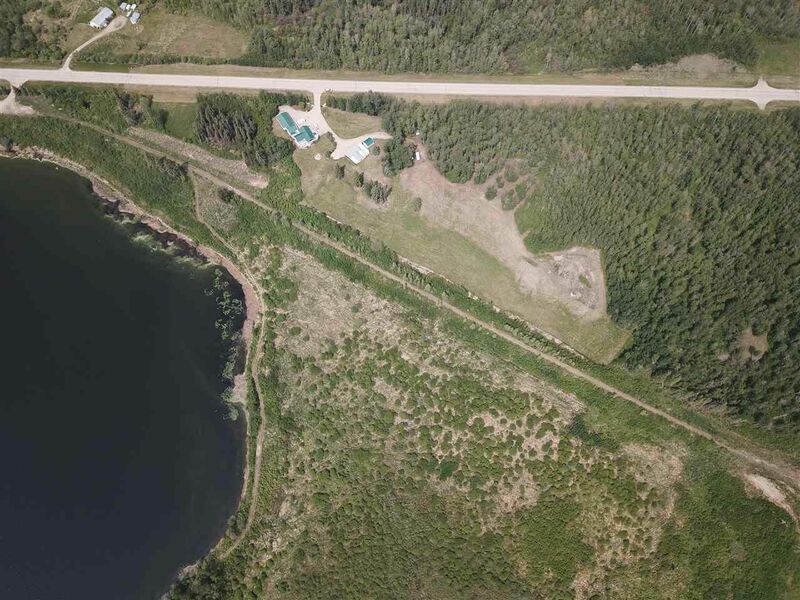 Follow Highway 16 West towards Jasper to Range Road 50 or Highway 765. 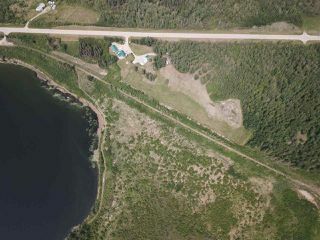 Turn Right (North) and go apprx 10 kms to Darwell. 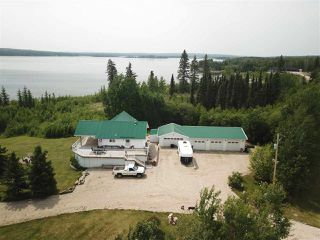 Turn Left heading west on Highway 633 for approx 12 kms until you see the Listing sign on your Left. White House and Shop.